Holy heck. This was the spread that awaited at my hotel breakfast the next morning. The hotel catered to English speakers, but this was ridiculous. If you couldn’t figure it out (bread and toast) by what it was, then you had no business eating it. Isn’t part of the fun of traveling not knowing what you might be eating? Or saying? Even so, this stuff wasn’t too difficult to figure out. I found this so humorous, I had to take photos. 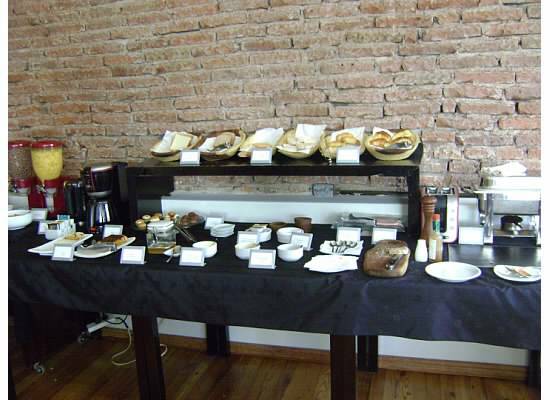 This entry was posted on Sunday, April 21st, 2013 at 8:00 am	and tagged with argentina and posted in food, hotels. You can follow any responses to this entry through the RSS 2.0 feed.